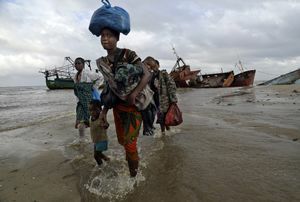 Eighteen people are still missing, authorities say, as thousands are forced from their homes by the bad weather. Floods, hurricanes and wildfires cost billions of dollars in 2018. Hurricane Florence tops the list of the year's most expensive weather events at $17B. CBS News contributing meteorologist Jeff... Berardelli joins CBSN to discuss 2018's worst disasters. 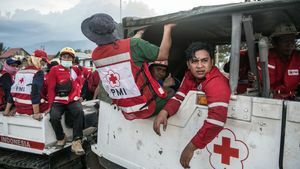 A tsunami killed at least 222 people and injured hundreds on the Indonesian islands of Java and Sumatra following an underwater landslide believed to have been caused by the erupting Anak Krakatau... volcano, officials said on Sunday. 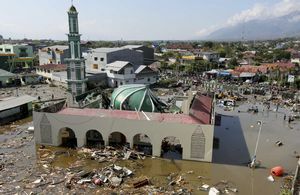 A tsunami apparently caused by the eruption of an island volcano killed at least 43 people after the waves hit the coast around Indonesia's Sunda Strait, sending a wall of water some 65 feet (20... meters) inland and damaging hundreds of houses including hotels, the government and witnesses said. 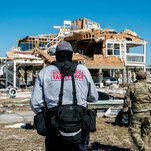 Under an unflinching Florida sun, the teams looked for the tiniest signs of life amid debris and thick brush. 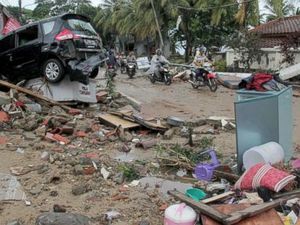 The 34 students are among the hundreds killed by the quake and tsunami which hit Indonesia. 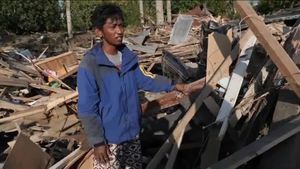 The extent of the devastation caused by an earthquake and tsunami on the Indonesian island of Sulawesi should become clearer on Tuesday, as rescuers push into remote areas that have been out of... contact for more than three days. 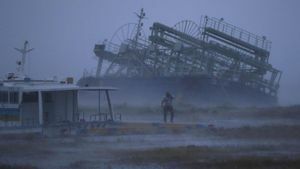 A strong typhoon has hit southern Japan forcing airlines to cancel domestic flights and train services in Kyoto, Osaka and Kobe districts also cancelled. 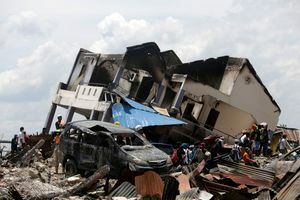 The powerful earthquake and tsunami that hit Indonesia's central Sulawesi has claimed many victims, a disaster official said Saturday, as rescuers raced to reach the region and an AP reporter saw... numerous bodies in a hard-hit city. A powerful earthquake triggers a landslide that engulfs houses on Japan's northern island of Hokkaido, injuring and trapping dozens of people and cutting power to millions. He will view the devastated areas where hundreds of people have died and thousands are homeless. 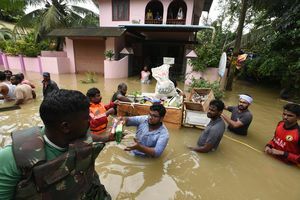 Indian tourist hotspot hit by severe rains that led authorities to open 27 reservoirs Flash floods in Kerala have killed 37 people and displaced around 36,000 according to Indian officials after heavy... monsoons led to landslides and overflowing reservoirs across the southern state. 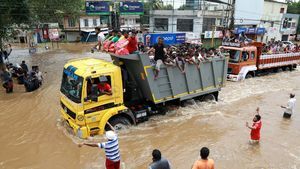 Kerala, famed for its pristine palm-lined beaches and tea plantations, is battered by the monsoon every year but the rains have been particularly severe this season.